Saving for an Overseas Trip? Travelling overseas costs big money. And with the Aussie dollar being less than stellar lately, saving up for a foreign adventure takes a determined effort. But whether you’re looking to accumulate a few hundred dollars or a few thousand, there are several creative ways to add money to your ‘upcoming trip’ account. Rather than viewing your savings goal as a huge lump sum, break it down into per-week or per-month increments and meet those targets one at a time. Saving may require sacrifice, but when you’re lying on the beach in Tonga, photographing desert elephants in Namibia or strolling the streets of Helsinki, it will be worth it! To determine your travel budget, work out upfront costs first (flights, accommodation, visa fees, travel insurance, vaccinations, medications, etc.). Then research your destination’s prices to calculate a daily budget that includes meals, hotels, shopping, organised tours, transport and entertainment. Travelling always costs more than we think, so incorporate an ‘emergency fund’ into the budget to allow for surprises. 1. Do you need that gym membership? A gym membership can put a big hole in your monthly budget. Commercial gymnasiums operate under the premise that keeping fit has to cost you money. This isn’t true. A weekend soccer game in the park with friends, a long bushwalk, a brisk swim at the beach or some strenuous gardening can be just as effective for staying in shape – and these activities are all free. Using a car is expensive; any way you can reduce car trips will save you money you can put toward travel. Walk to the corner shop instead of driving. Dust off that bicycle and ride it to and from work. Investigate car-sharing programs for commuting. If you’re planning an extended period of travel and won’t need your car when you return to Australia, sell it before you leave for some extra cash. Buying take-away lunches near your workplace can become an expensive habit and may not always be the healthiest option. If you bring a leftover soup, pasta dish, salad or sandwich from home instead, you’ll save more money per week than you might think. A wholesome wrap made from leftover Sunday roasts makes a great lunch. And if you can go without that daily take-away coffee before work, that’s even more dollars saved. 4. So, how’s that subscription TV bill working out for you? Subscription television can be pretty cool – all those classic movies, sports programs and penguin documentaries. But how much money would you save if you cancelled your subscription for the 6 months prior to your overseas trip? Because top movies and other video content can be easily accessed via the Internet these days, subscription TV should be one of the first luxury items to be scrapped if you’re saving for a holiday. When you’re not using household appliances, unplug them at the wall to save on electricity costs. You can always re-subscribe after you get back from that horseback-riding expedition around Lake Khovsgol in Mongolia. Most of us use energy-saving appliances these days, but that’s not enough: cutting your utility bills requires consistent and proactive effort. Turn off the tap while brushing your teeth and cut your time in the shower by half – or invest in a water-saving nozzle. Use fans instead of air conditioning and put on warmer clothing/blankets instead of cranking up the central heating. When you’re not using household appliances, unplug them at the wall to save on electricity costs. There are a number of ways to reduce the costs of your trip, both before you depart and while you’re abroad. 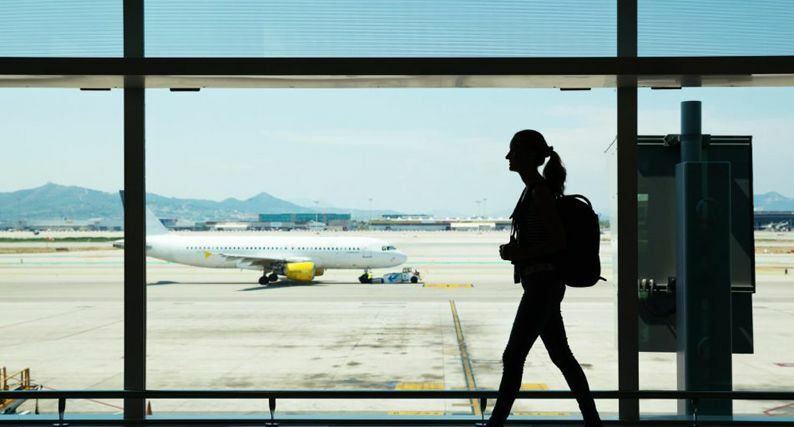 Buy your airline ticket at the right time. Book at least two months before your intended departure date to avoid leaving it too late and getting stuck with higher fares. If you’re flexible with dates, try to go in the low or shoulder season rather than peak times of year. Flight comparison sites (Expedia, Skyscanner, etc.) will show you the best deals for your available dates and destination city. For more tips on getting cheap flights check out – Tips for Booking Cheap Flights. Some credit cards come with built-in travel insurance if you pay for the bulk of your trip with that card. This can work okay if the insurance cover included is adequate for your needs – but this may not be the case, in which case stand-alone travel cover may serve you better. Never go abroad without travel insurance – the potential hardship and financial risk can be substantial if something goes wrong. Exchange rates can be a killer. Change your money at a bank after arrival. Exchange rates at airports and big hotels are rarely a good deal. Getting local cash out of ATMs is a simple enough option in most countries too. If you’re reserving things like train travel or package tours, you may find it cheaper to book in advance from home rather than waiting until you arrive in the relevant country. It all depends on what you’re doing and where you’re going. Check online travel forums to work out the cheapest options. For popular overseas tours in high season, booking way ahead may be the only way to ensure you don’t miss out entirely. Choose your overseas accommodation carefully. Is there a complimentary shuttle service to and from the airport? This eliminates taxi costs. Does it have cooking facilities? If so, you’ll save money on eating out. A hotel with in-house laundry facilities negates a trip to the local laundromat too. Is breakfast included each day? All these little details matter. For more advice on getting great valued accommodation go to Top Tips for Booking Cheap Accommodation. Check the hotel’s reviews on TripAdvisor and other review sites: if they’re okay, even 3-star accommodation can be perfectly acceptable. You never want to be too far from the action, but booking a hotel just outside the main tourist areas can often mean a tangible reduction in price. Here’s another frugality tip: you don’t have to be young to stay in an inexpensive youth hostel. Some of the world’s most comfortable accommodation can be found at hostels with affordable private rooms. Credit card debt is a massive problem in Australia, with over $32 billion owing and the average debt per card holder exceeding $4300 . There’s not a lot you can do about the money you’ve already spent, but you can still take the bull by the horns and tackle your current debt situation head on. Credit card debt is a major impediment to saving money – for travel or anything else. If credit card interest is taking up a big chunk of your monthly expenses, it’s time to adopt a new budgeting plan and change your spending habits so you can chip away at that spiralling debt. An online credit card calculator can help you work out the difference between paying off your card with minimal repayments and saving money with higher repayments. If you’re not happy with a $10 per month fee on your business account, shop around for another bank or switch to a credit union that doesn’t charge you for the privilege of storing your money with them. Take a hard look at those monthly fees your bank is charging you for your various accounts. Bank fees are not a necessary evil – so vote with your feet. If you’re like most people, you’ll have a few different types of insurance policies on the go: health, car, home and contents, life, etc. You may even have pet insurance. And if you’re getting ready to travel, you’ll also need travel insurance to cover lost luggage, cancellations, illness, injury and other potential globetrotting calamities. Many people buy insurance cover and then put it completely out of their minds, automatically renewing the same policy year after year. The problem with the buy-it-and-then-forget-about-it approach is that it may be costing you extra money. It’s always smart to re-evaluate all your insurance needs each year (before you renew!) and check what’s being offered by other insurers. There are some great deals out there and plenty of comparison sites to check insurance providers against their competitors. If you don’t shop around for the insurance that meets your changing needs, you might be paying more than you need to – and that extra cash could be put toward your travel goals. Unless you need a specific garment for travel (you can probably make do with what’s already in your closet), make a promise to yourself not to buy a single new item of clothing before you head overseas. If you’re a habitual clothes shopper who loves to potter around the sales, this deprivation won’t be easy – but the savings will add valuable dollars to your trip. If you own an e-reader and use it regularly, you probably spend a bit of money on new titles each month. And if you’re a fan of book stores, your purchases there will eat into your budget too. In the months before your departure date, why not just visit your local library instead? You’ll get just as much quality reading at no cost. A quick way to generate spare cash for travel is to unload your unwanted possessions through a garage sale or online (eBay, Gumtree, etc.). Trading possessions for unique travel experiences is usually a pretty good bargain. If an item has been sitting in your closet gathering dust for years, chances are you can probably live without it. So go ahead – de-clutter your life for dollars! Young travellers have been saving for overseas trips for generations by using the oldest trick in the book: living with Mum and Dad. If your current digs are costing you too much, find an alternative. Move to a cheaper place or share with a friend. If you’ve got a spare room, look into renting it out through AirBnB to score some extra cash. Anything you can do to lower your current accommodation expenditure will help. If you add up what two or three nights out per week are costing you, it’s easy to see that cutting back will help you reach your travel saving goals more quickly. How many times per week do you go out for drinks, to a restaurant or both? If you add up what two or three nights out per week are costing you, it’s easy to see that cutting back will help you reach your travel saving goals more quickly. Cook your own dinners on the weekends instead. Saving money doesn’t mean you have to become antisocial, though – invite your friends over for some pasta and let them bring their own preferred drinks. Restaurant meals, pub crawls, concerts, movies and late night taxi fares all chip away at your ability to save money for travel, so become more of a homebody – your bank balance will thank you! To save money, you need a plan – and the motivation to carry it through. Open a separate bank account strictly for your foreign trip. Get a budget tracking app on your smartphone so you can monitor exactly how much you’re spending and saving as your departure date nears. Try our new Savings Goal Planner, it will give you an overview of your savings broken down into bite size chunks and suggest ways to help you save a little more! Every dollar you save now is one more dollar you can spend extravagantly overseas!